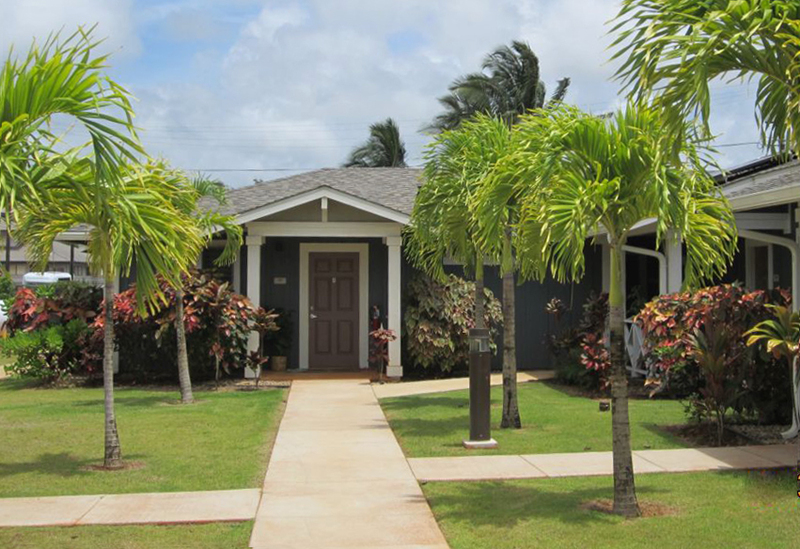 Sited on 2 vacant parcels of land in an area commonly known as the old Rice Camp, this senior housing rental project was awarded through an RFP process by the Kauai County Housing Agency. The intended residents for this project are seniors who are able to live independently. The proposed design consists of (1) two-story building and (6) one-story buildings, totaling (38) one-bedroom and (22) two-bedroom units. The community building is centrally located with laundry buildings conveniently dispersed throughout the site. Courtyards provide opportunities for resident gardens or landscaped open spaces. Sustainable design principles have been incorporated to keep tenant-paid utilities and common area operating costs low. Kaniko`o is a LEED® Registered Project with a certification level of Platinum.